Sometimes theater can be profound, thought-provoking, or even life-changing, and sometimes it's just highly enjoyable entertainment. 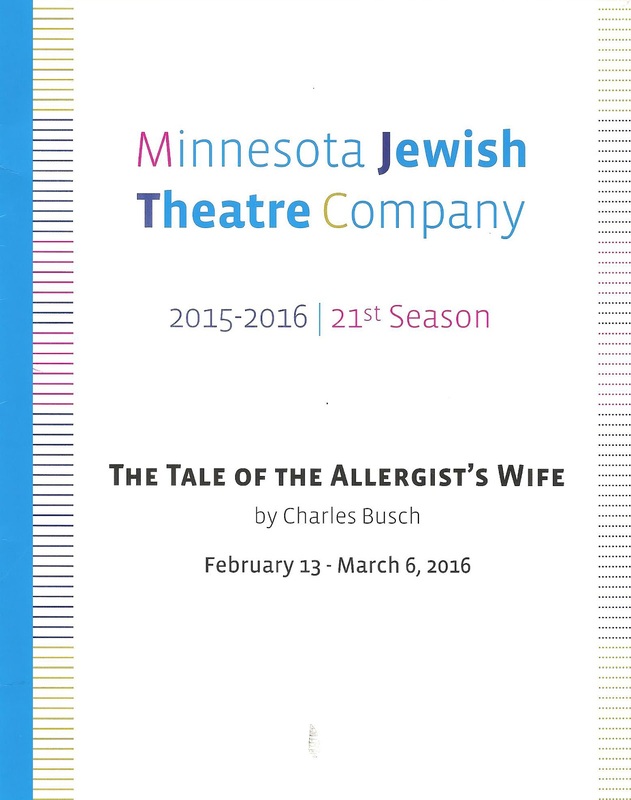 There's room for both, and Minnesota Jewish Theatre Company's production of the 2000 Tony-nominated Broadway play The Tale of the Allergist's Wife falls squarely in the latter category. 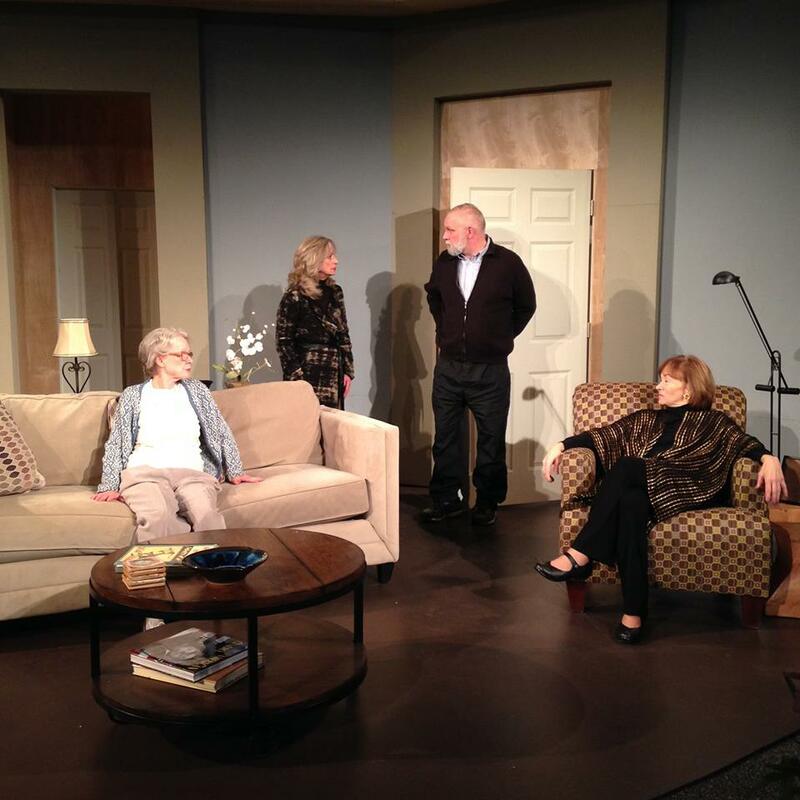 It's a chance to laugh at ridiculous people in this very funny play, presented with sharp direction by Warren C. Bowles and fantastic comedic performances by the five-person cast. The theater at the Highland Park Community Center was packed on a Wednesday night, and a good time was had by all. Sometimes that's everything you need. Marjorie Taub (Sally Wingert) is the poster child for first world problems. She lives in a beautiful apartment on the Upper West Side of Manhatten, her successful doctor (allergist) husband (David Coral) has recently retired so he can spend more time teaching and volunteering, her adult daughters have moved away and are successful in their lives, and her mother (Linda Kelsey) lives just down the hall and frequently visits with news of her bowel movements. Upon the death of her therapist, Marjorie is plunged into a depression, or perhaps more accurately, a severe feeling of boredom and uselessness. Her only friend seems to be her doorman (Charles Goitia), with whom she shares her love of reading (her favorite - Hermann Hesse's Siddharta). Into this malaise steps her childhood friend Lee, who has led the most fabulous life. She's been everywhere, done everything, and met everyone, from Andy Warhol to Princess Diana. Lee shakes up Marjorie's life first to her delight, and then to her dismay as things get a little weird. In the end Marjorie realizes maybe her boring beautiful life isn't so bad after all. This hilariously fun romp through the lives of privileged people is a joy to watch. Everyone is fantastic in this cast that is a true ensemble. Special mention must be made of Linda Kelsey (our very own TV star come home), almost unrecognizable as a seemingly frail but strongly opinionated older woman with a walker and too many colonoscopies. The action takes place entirely in the Taubs' apartment which, thanks to designer Michael Hoover, feels every bit the sleek Manhattan apartment. 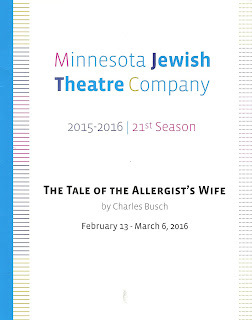 Apparently the word has gotten out how funny this play is, or else it's the star power, for The Tale of the Allergist's Wife is nearly sold out for the run (through March 6). In fact, they just added an additional performance. So get your tickets soon and head down to St. Paul's Highland Park area to join the fun.